Perhaps she should be in the Humor gallery? She paved the way for Tiny Tim! Mrs. Miller was a hoot. I remember listening to her back in 1966 on WQAM AM radio 560 when I lived in Hollywood, Florida. Good memories!! 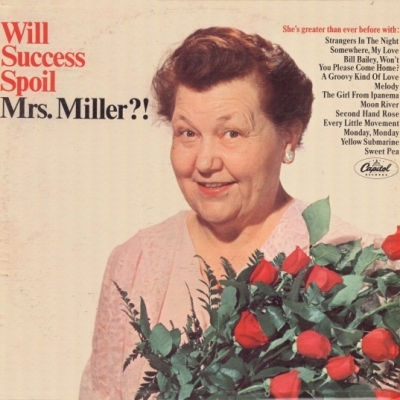 And, whenever I think of Mrs. Miller, I smile.